The Kit View's fan chart performs two functions. 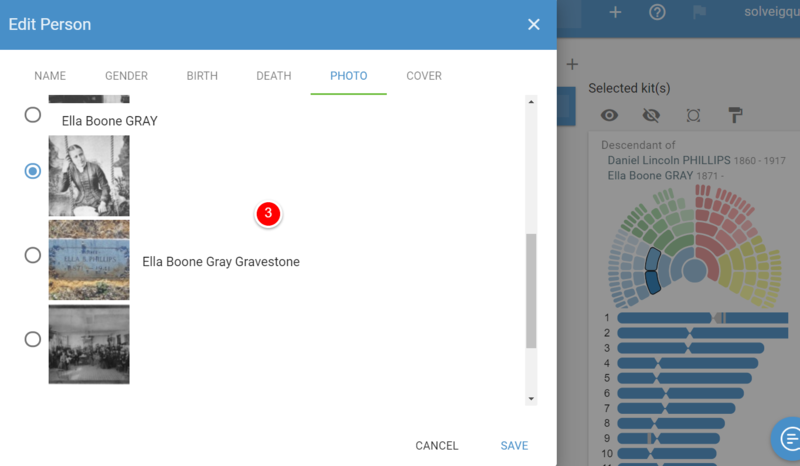 First, it shows you which ancestor or line the kit is matched to. 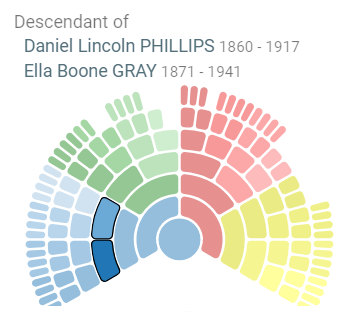 Second, clicking on the colored nodes in the fan chart opens a window to that person in your tree. 1. 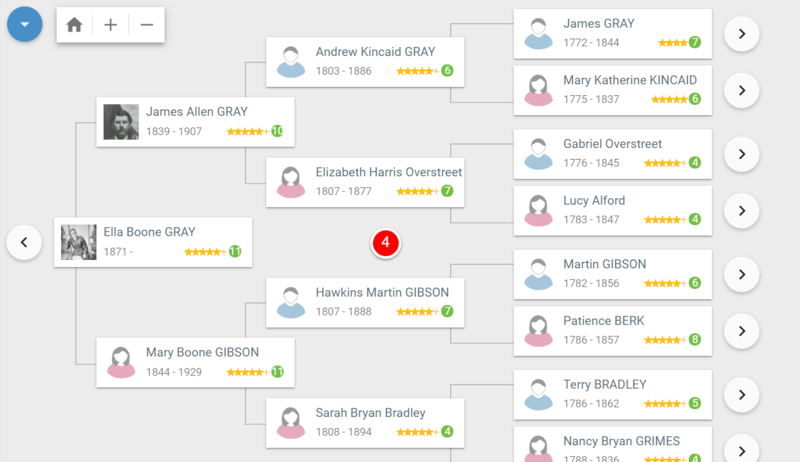 Click on one of the highlighted squares to see the basic information on the ancestor. 2. Click on View Profile to see the ancestors page. 3. You may also edit the Profile without leaving the DNA page by clicking on the Edit Profile button. 4. 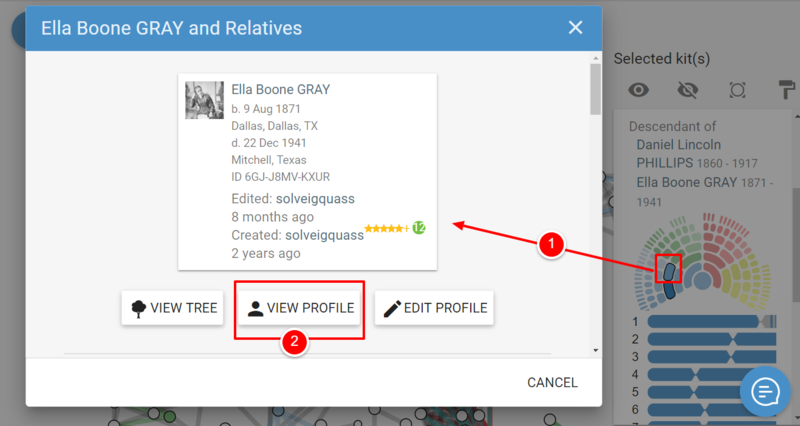 View the ancestor's tree by clicking on the View Tree button.